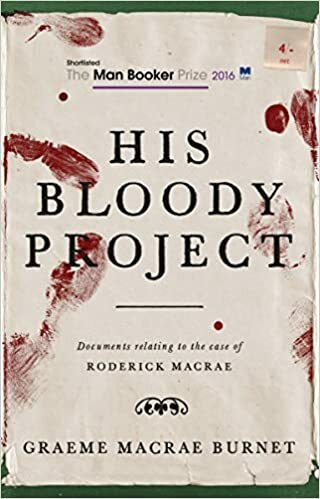 As you’ll undoubtedly know, His Bloody Project has been shortlisted for this year’s Man Booker Prize and if it wins when the big announcement is made next week, it will be a well deserved winner in my opinion. I haven’t read any of the other shortlisted novels this year, I have to admit, so can’t really make any comparisons but this is just superb. Thanks for the heads up crimeworm! I’m definitely intrigued by this one. No. 2 is cooking nicely. If you fancy joining me on the blog tour for it, drop me a line. Fabulous book, Mike. I’ll be reviewing it at some point this week. I’m not sure if I’ll see it differently as I’m from a farming family, who live on the Isle of Mull (you’d love it, if you haven’t been!) Also, my maternal grandfather was a factor, although definitely not as horrible a character as the one in the book. It was an excellent job – my mother and her sisters had a nanny! They also all went to secretarial college in Glasgow, as that’s what girls did in the early-mid 1960s (I’m sure my grandparents were glad they missed the Swinging Years!) Do read it – it’s very different from anything you’ve read before! BTW, looking forward to your no.2!